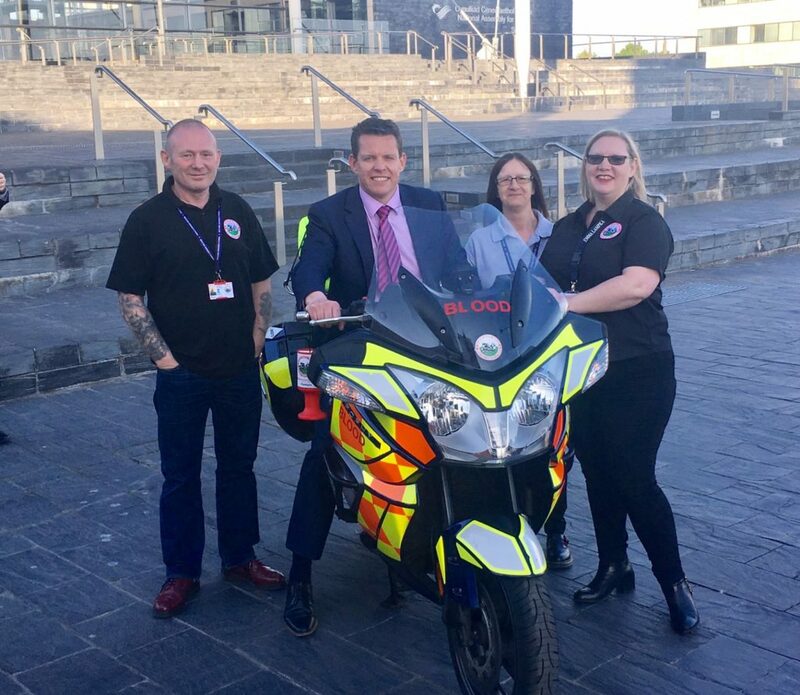 Blood Bikes Wales volunteers came to the National Assembly this week and gave AMs an opportunity to learn more about the fantastic work they do in Wales. Blood Bikes Wales is a charity of over 300 volunteers, operating 16 motorcycles and works across the whole of Wales every single day of the year. The charity provides an entirely free and professional out-of-hours service to support the NHS in Wales, along with an interim in-hours enhancement service, transporting life-saving supplies to those in urgent need of treatment across the length and breadth of Wales.